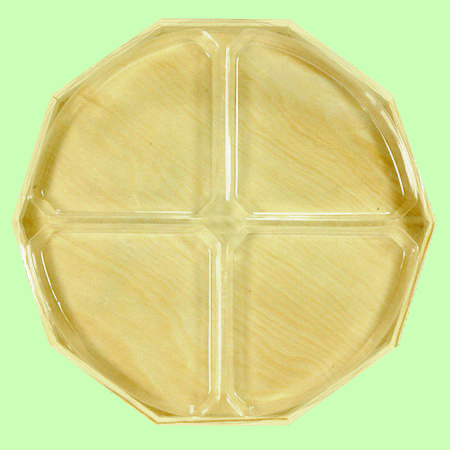 This decagon shaped pine wood tray measures 10" in diameter, 1.25" high. It has a clear plastic liner of 4 sections. It is available in natural only. This item also comes in several sizes. Please click item number F0208, item number F0212, or item number F0214 to view these items. This item is available in the lightly burnt finish now. Please click item number F1210 to view it.